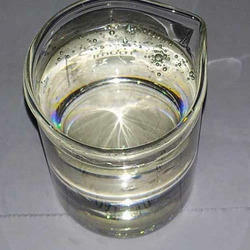 Exporter of a wide range of products which include cocamidopropyl betaine, sodium lauryl sulfate, sodium lauryl ether sulfate, ethylene glycol monostearate, sodium dodecyl sulfate and acid slurry. We feel immense pleasure in offering to our esteemed clients a wide range of Cocamidopropyl Betaine (CAPB). Processed by our professionals using optimum quality chemical compounds, this range of chemicals complies with the international quality standards and parameters. Further to ensure their quality, these chemicals are precisely tested by our experts against various parameters of quality. These are available in a number of packaging options. 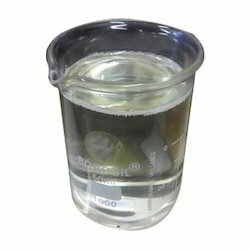 Cocamidopropyl Betaine (CAPB) is used as an Anti-static agent in all types of toiletries, as Cleaning compound for Soap Detergents, as Conditioner in Textile Industry, as Dispersant in Cosmetics, as Emulsifier Amphotericin Construction, as Foam booster in Shampoo. 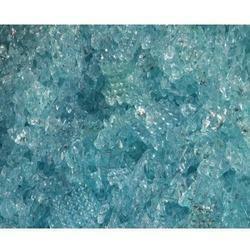 We have full devout in processing the best quality Sodium Lauryl Sulfate. Our experts are conducting the evolving market trends and have presented the much anticipated chemical formula that is trusted widely for its efficacy. This is the most demanded surfactant and cleaning agent processed under the deep scrutiny of our experts. Thoughtfully processed at our modernized labs the offered chemical can be ordered from us in liquid and paste form at a market leading price. 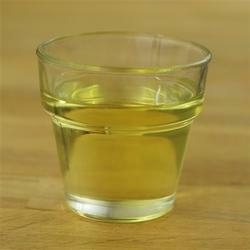 By keeping track with the market development, we are offering optimum quality Sodium Lauryl Ether Sulfate. Widely used in personal care products like shampoo and soaps, offered chemicals are precisely processed by our dexterous professionals utilizing quality proven chemical compounds and modish technology. Further, provided range is quality checked on various parameters. Apart from this, clients can avail these chemicals from us at nominal prices. Since our inception, we are instrumental in offering premium quality and effective array of Ethylene Glycol Monostearate. Extensively used in various kinds of shampoos and creams, offered products are accurately processed by our professionals using ultra-modern technology in accordance with international quality standards. In ahead of their final dispatch, these products are quality tested by our industry experts on well-defined parameters set by the industry. 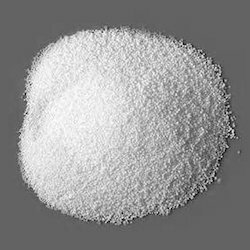 Backed ourselves with sound amenities and talented personnel, we have emerged as one of the leading organizations of superior quality Sodium Dodecyl Sulfate Chemical. These are processed by our talented professionals using high quality basic chemical compounds to ensure their high effectiveness. Furthermore, offered range is precisely tested by our quality inspectors on various parameters set by the industry. Leveraging on wide expertise, we are instrumental in processing best quality Acid Slurry. We have gained specialization in offering the industry compliant formula of washing agent. Developed under strict quality supervision the GMP compliant acid slurry is formulated from the reasonable process by using high-quality active ingredients. Further, we are providing the quality approved product at the best price in the industry. POLYBIND-KD made detergent cake remain soft very long time maintaining the bonding of the product and its keep fungus free as well. Sometimes detergent cake becomes white after opening the wrapper and it left its original colour and fungus starts appearing on the surface of the detergent cake because of Sodium Silicate which does not happen in our formulation. Sometimes it becomes very hard during the longer period and sometimes it broke also and it start becomes like powder. While using POLYBIND-KD its keeps original colour remains till the last and good binding. So it’s safe for a long time and because of it, your productivity increases. Being perfectly shaped and swift movement of our organization, we are instrumental in offering Ammonium Lauryl Ether Sulfate. Offered range is processed by our professionals using high-quality chemical compounds in compliance with the set quality norms. Our range is highly demanded in a wide range of industries for its features. Apart from this, clients can avail these chemicals from us in various packaging forms. 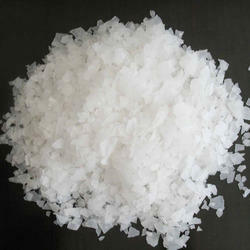 We offer Ammonium Lauryl Ether Sulfate (ALES), which finds ample application in manufacturing shampoos, bubble bath etc. Our Ammonium Lauryl Ether Sulfate comes in the pack of 50kgs carboys and 220kgs HDPE Drums. 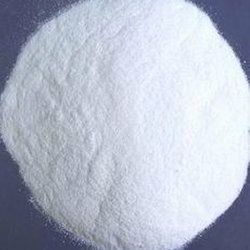 We are one of the wells reckoned Ammonium Lauryl Ether Sulfate Exporters Suppliers, Catering international standard quality ALES to the global market. 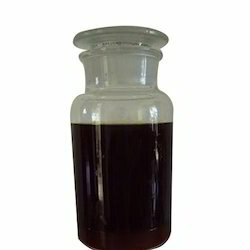 Our Ammonium Lauryl Ether Sulfate is processed with high-quality ingredients and is available at the best price deal. We also guarantee speedy delivery of consignments. Looking for Specialty Chemical ?